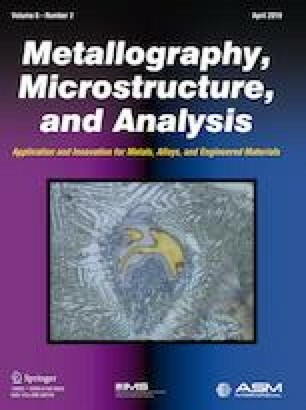 This study investigates the effects of slight variations in the average Ti, Mn, and Si weld metal contents, obtained by properly designing different rutile-based flux-cored wires, on the all-weld metal microstructure, intragranular inclusions, and mechanical properties. The compositional changes have been restricted to max 15% variation approximately; in particular, the Ti, Mn, and Si levels have been changed, respectively, in the range 340–400 ppm, 1.28–1.38 wt.%, and 0.35–0.42 wt.%. Metallographic and image analysis techniques have been used to quantitatively examine the microstructural changes, and the results have emphasized how even such slight variation on Ti, Mn, and Si contents can lead to representative microstructural changes. The volume fraction of the inclusions increases from about 0.8 to 1.0% and their size from 520 nm up to 710 nm. Furthermore, higher acicular ferrite content is observed, i.e., from 66 to 81 vol.%. By the point of view of mechanical properties, the microstructural changes have improved both the tensile strength, with a 5% increase, and the Charpy impact toughness that increases up to 17 J (roughly 20%) at − 60 °C temperature. Nucleation and growth mechanisms of intragranular inclusions and weld microstructure are then proposed, and correlations with mechanical properties evolution are identified and discussed. The authors would like to acknowledge Lincoln Electric Italia and internal staff for collaboration and funding the study. Many thanks are also due to Lamberto Manera and Alberto Fabrizi for their precious work to perform experiments and characterizations.